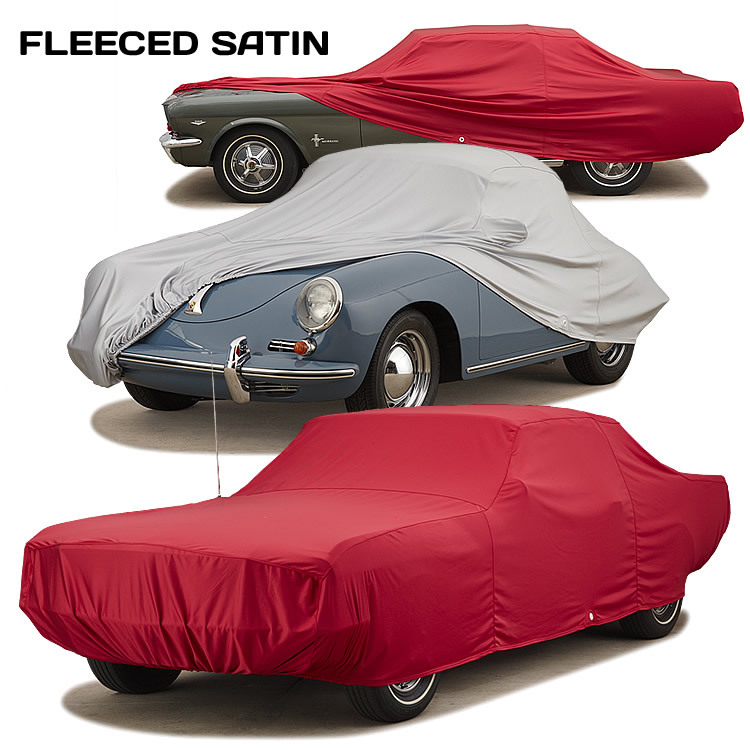 Fleeced Satin features a woven polyester outer shell with a super soft white nylon fleece finish underside to provide a gentle touch to fine car finishes. An excellent value for indoor use (and limited outdoor use - like at a weekend car show), Fleeced Satin is offered in three colors - RED, GRAY or BLACK. Fleeced Satin fabric has a slight stretch for a more contoured fit (but not the body-hugging stretch of our Form-Fit® covers). At 4.7 ounces per square yard, Fleeced Satin fabric is a bit lighter than Form-Fit fabric (7.4 ounces per square yard). The result is a very nice mid-weight custom fittin cover.